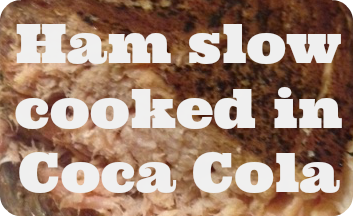 Slow Cooker ham in Coca Cola…. Foods like lemon and honey, tomato and basil, Nutella and peanut butter are all perfect flavour combinations. I wouldn’t have put ham and Coca Cola on my list of favourite food combinations at all – until last night when we had slow cooked Coca Cola ham. It really couldn’t be easier to make and the results are delicious. I always bring my ham joint to the boil in a pan for five minutes to get rid of any excess salt but I know lots of people don’t do this and still have great results. Once I’ve boiled the ham, I added it to the slow cooked and then I poured in just enough (full fat) Coca Cola to cover the ham joint. 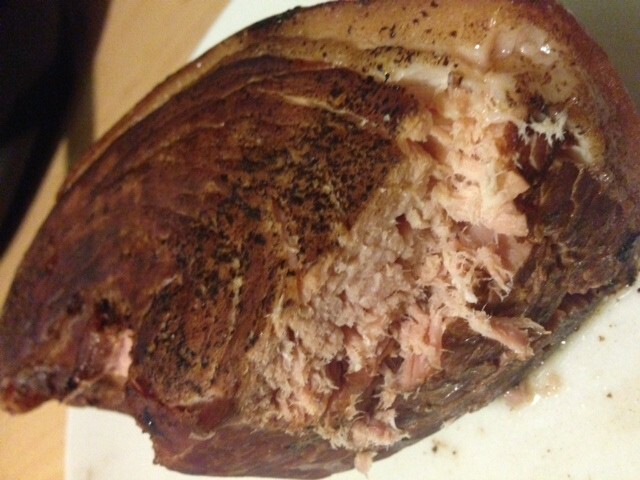 I cooked it on slow for five hours and voila – delicious slow cooker coca cola ham. I was planning on finishing our coca cola ham in the oven with a bit of a glaze but a hungry family quickly vetoed that idea. If I had of been allowed to glaze it, I would have made a glaze out of some honey, a little mustard and some brown sugar and brushed it all over the ham before baking in the over for 15-20 minutes. Mmmmmmmmmm….. 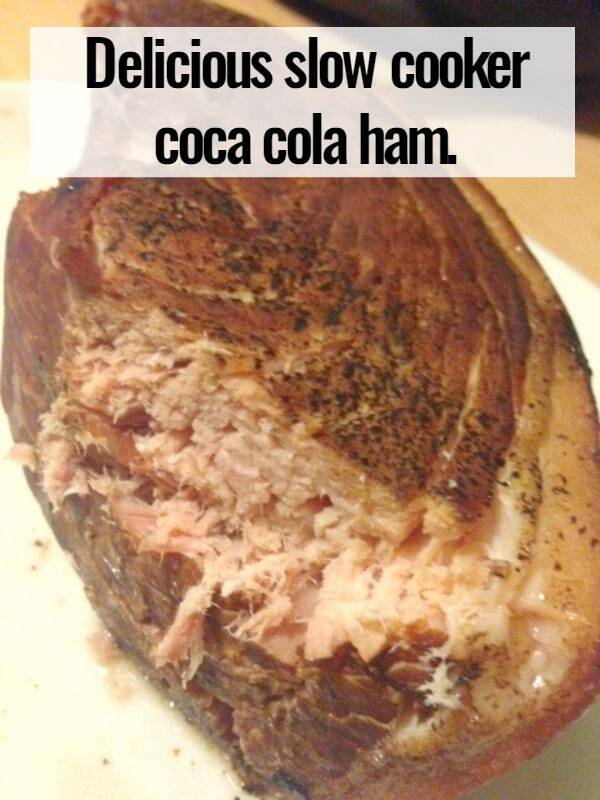 If you liked this recipe for coca cola ham you can save it to your own recipe box if you use Yummly – just click on the YUM icon at the bottom of this post. Not quite grown up yet….